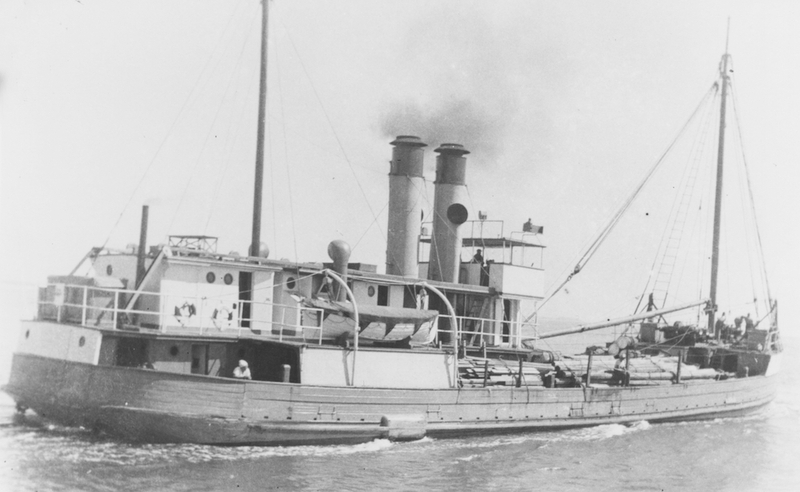 The wooden coastal cargo vessel Allenwood was built by Wrights of Tuncurry, Cape Hawke, NSW, in 1920. Allenwood was one of many requisitioned by the RAN for wartime service. HMAS Allenwood commissioned on 16 September 1941 under the command of Lieutenant FC Pilcher, RANR(S), and served chiefly on the Eastern Australian seaboard. 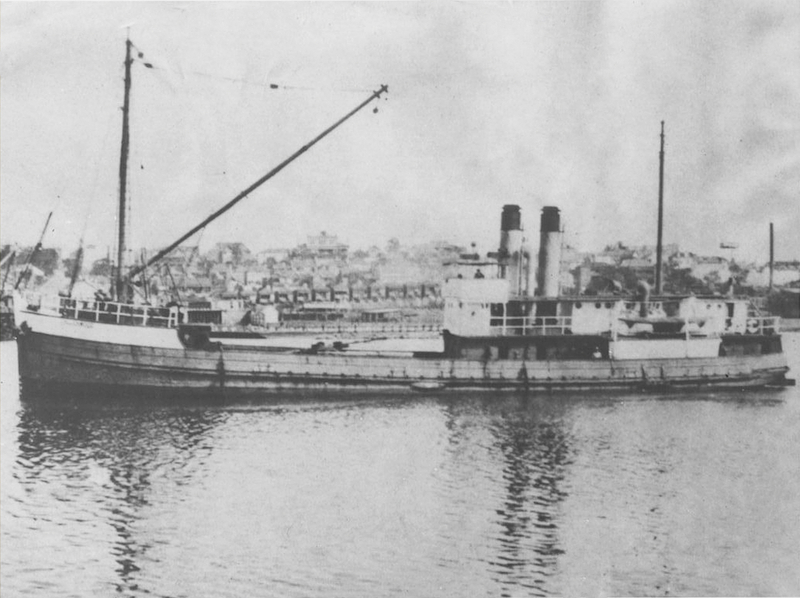 Allenwood prior to her conversion to an auxiliary minesweeper. 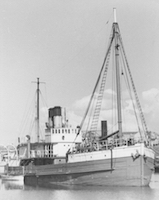 Allenwood paid off on 31 October 1944 and was subsequently returned to her owners A Taylor and Co Ltd.
Allenwood nested alongside HMA Ships Ping Wo and Westralia, Salamander Bay, NSW, circa November 1942. 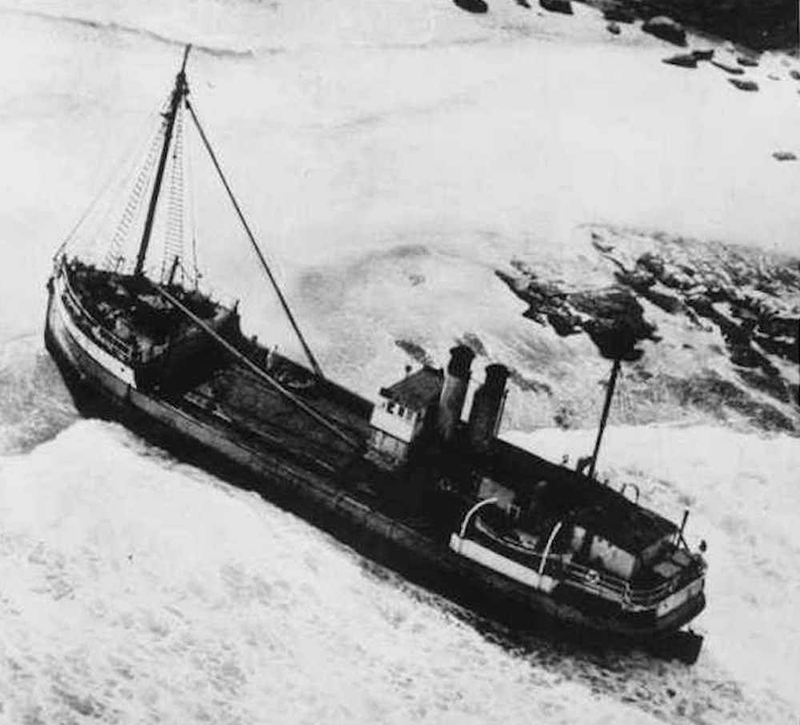 On 14 September 1951 Allenwood was declared a total loss after being wrecked on the Central Coast of New South Wales, some five miles north of Norah Head. All crew members were saved and the wreck was later sold. 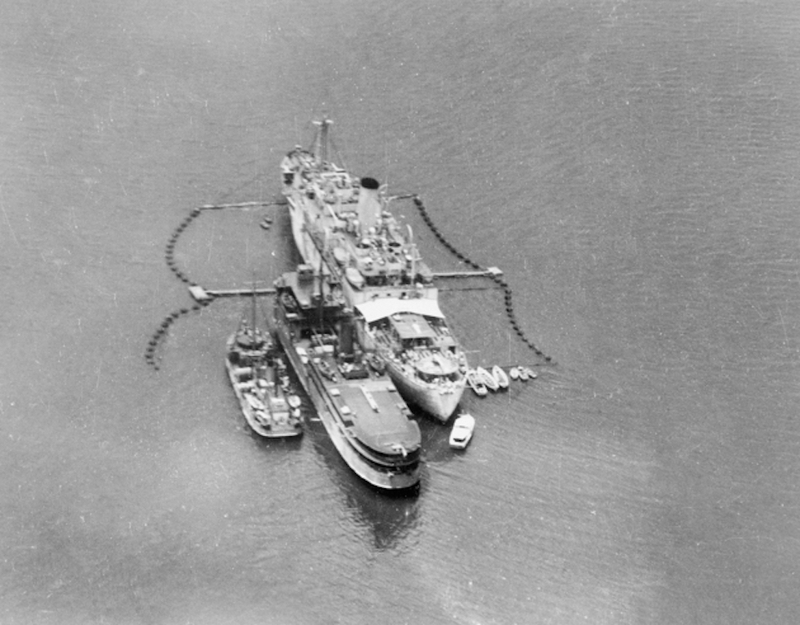 Allenwood aground on the Central Coast of New South Wales, 1951.